exact 10 days to halloween! I thought to dedicate a whole post to my favorite pumpkins, some are tutorials, some are just inspiration. 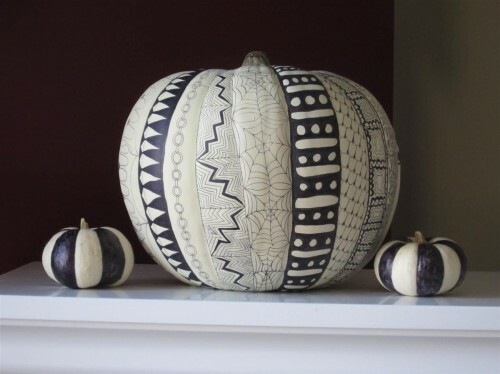 This pumpkin is spooky & perfectly chic. 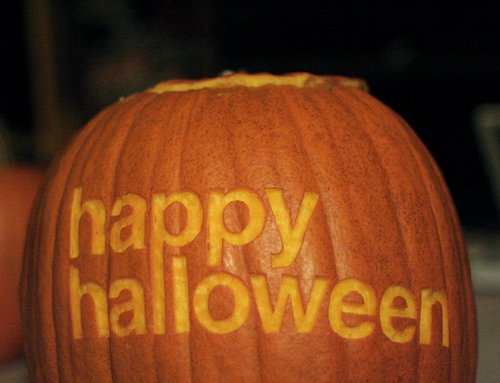 Love typography, love Helvetica... love this pumpkin! This is not a tutorial: but I would make it by using stick-on letters and slowly carve around each letter with an exacto knife. White pumpkin + sharpie... really! 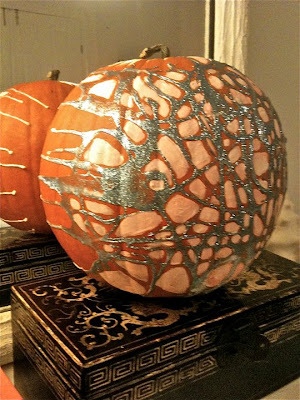 Doodles, spider webs and geometric patterns over a white pumpkin with a black Sharpie. 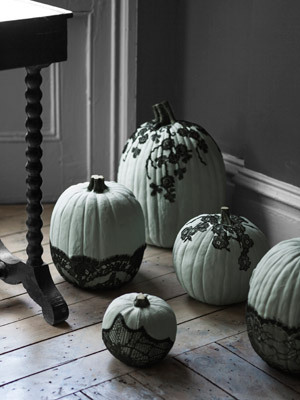 There are many lace pumpkins around, but these are my favorite. 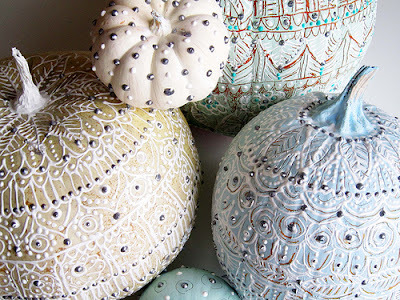 Paint pumpkin with a mint/grey color (arsenic) first, then glue lace cut-outs. Head over Alisa Burke and follow her tutorial on how to make these beauty. 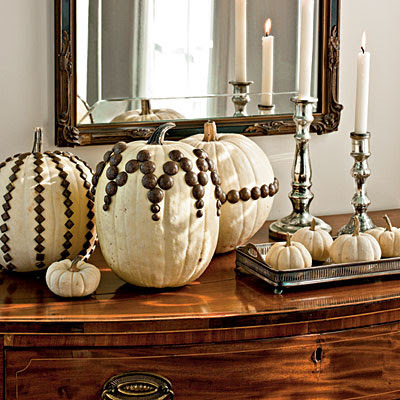 These pumpkins over @ southern living were made using upholstery pin tucks, but they can surely be replicated with studs, spikes, and office supplies pin-tucks (all cheaper than upholstery tucks). 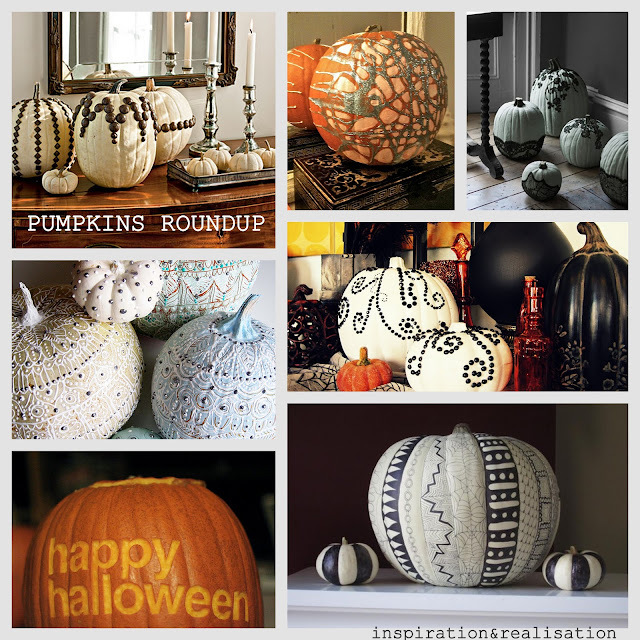 Get ready and DIY your pumpkins!!! Only10 days to Halloween! !